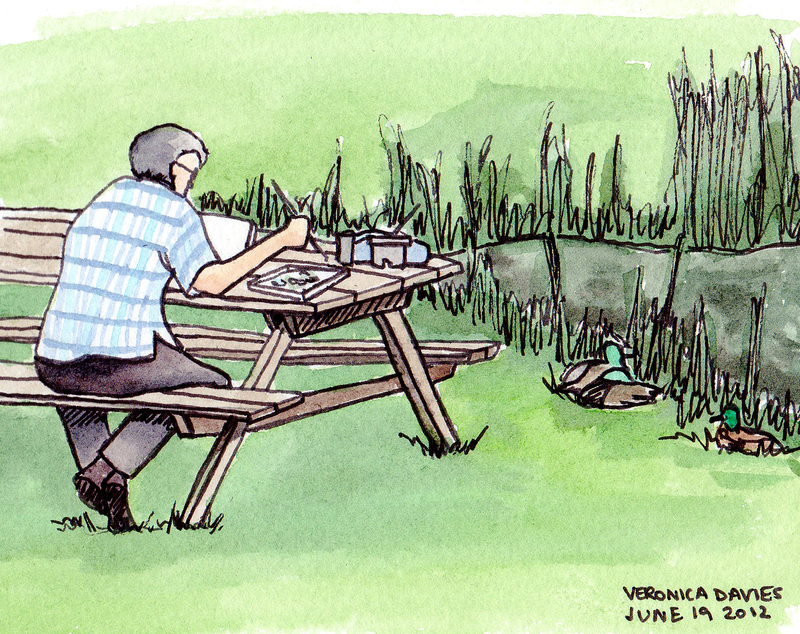 Plein Air again today. Chilly and cold unfortunately. I am not sure Plein Air is really my thing. Maybe I will try with oils next time, see how that goes, but I prefer people and portraits to landscape. 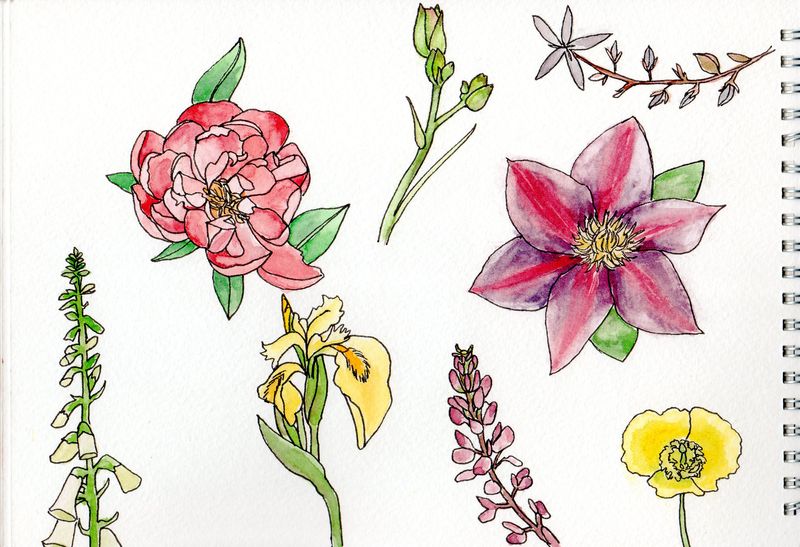 Just did some watercolour flower studies today. Had the opportunity to go to drop-in life drawing at Millennium Place in Whistler over the weekend. Here are some of my sketches, 3 minutes, 10 minutes and 25 minutes. It was cloudy and cold, I just wasn’t feeling it today. I did this small watercolour sketch and headed home really early. 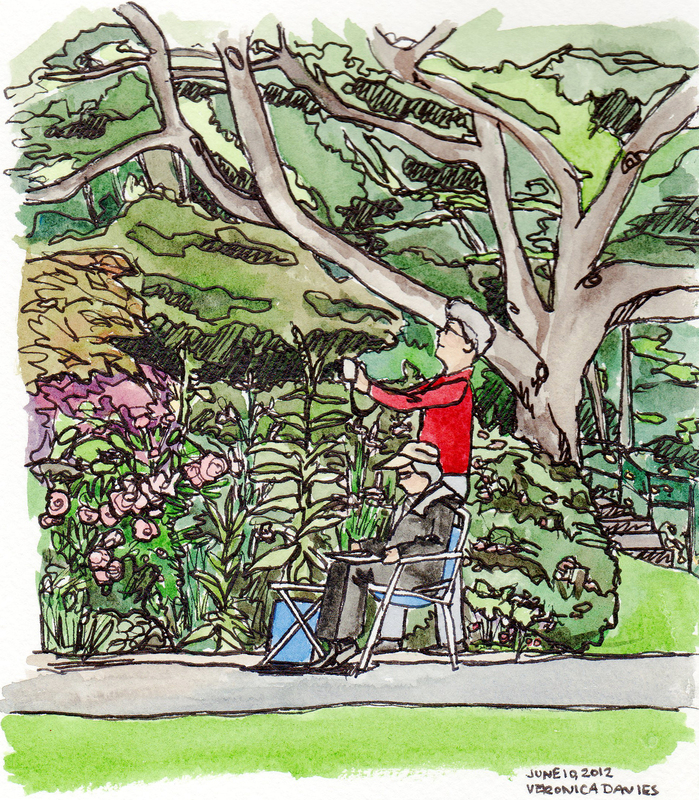 Watercolour sketch from a plein air painting session with the South Surrey White Rock Arts Society group at Darts Hill Garden Park, South Surrey. My first plein air!